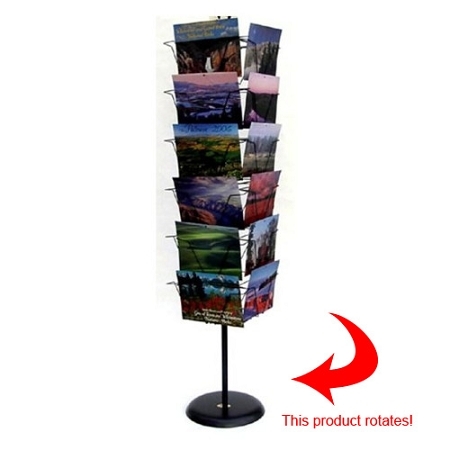 24 Vertical pocket floor spinner revolving heavy gauge wire display for typical Calendar Displays. Portable Attractive, Compact & Cost Effective Displays for 12" Wide Calendars. Overlapping style pockets - 1 1/4" deep. Easy, no tool installation with a clip-in sign holder. White or Black powder coated finish. 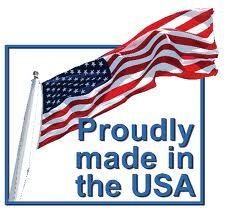 Take it to your next trade or craft show and watch your products sell like never before. Assembled Size is 66 inch tall by 18 inch wide.